T-shirts are available for order. The design is shown on the image to the right. 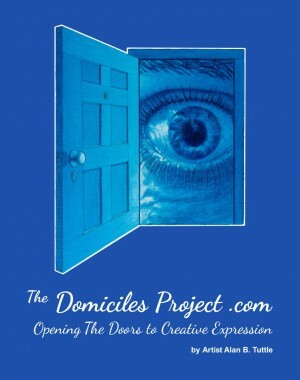 The Domiciles Project will soon offer other promotional products. Life size vinyl reproductions of the doors by the “Fathead” company will be made available. These can be easily applied and removed from your classroom walls. Proceeds from the sale of these products will support and help to sustain the project, which in turn will continue to benefit all those involved in teaching the creative process.